Dr. CHOI Kang is the vice president for research and a principal fellow at the Asan Institute for Policy Studies. Previously, he was the dean of Planning and Assessment at the Korean National Diplomatic Academy. In 2012, Dr. Choi served as the president at the Institute of Foreign Affairs and National Security (IFANS). 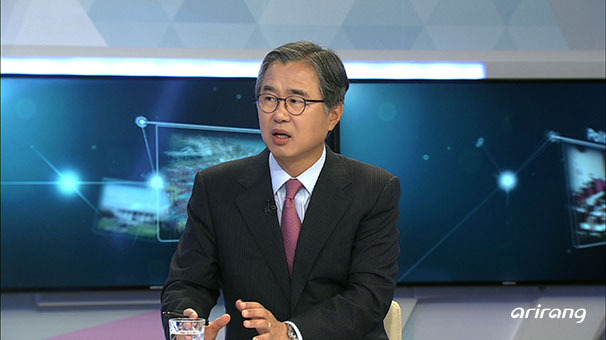 He was also a professor and director general for American Studies at IFANS, a research fellow at the Korea Institute for Defense Analyses, and senior director for Policy Planning and Coordination on the National Security Council Secretariat. He holds several advisory board memberships including: the Committee on Foreign Affairs, Trade, and Unification of the National Assembly; Ministry of National Defense; Ministry of Unification; Air Force Development Committee; and the National Unification Advisory Council. Dr. Choi was also a South Korean delegate to the Four-Party Talks. He writes extensively on the ROK-US alliance, North Korean military affairs, inter-Korean relations, crisis management, and multilateral security cooperation. Dr. Choi received his B.A. from Kyunghee University, M.A. from the University of Wisconsin-Madison, and his Ph.D. in political science from Ohio State University.